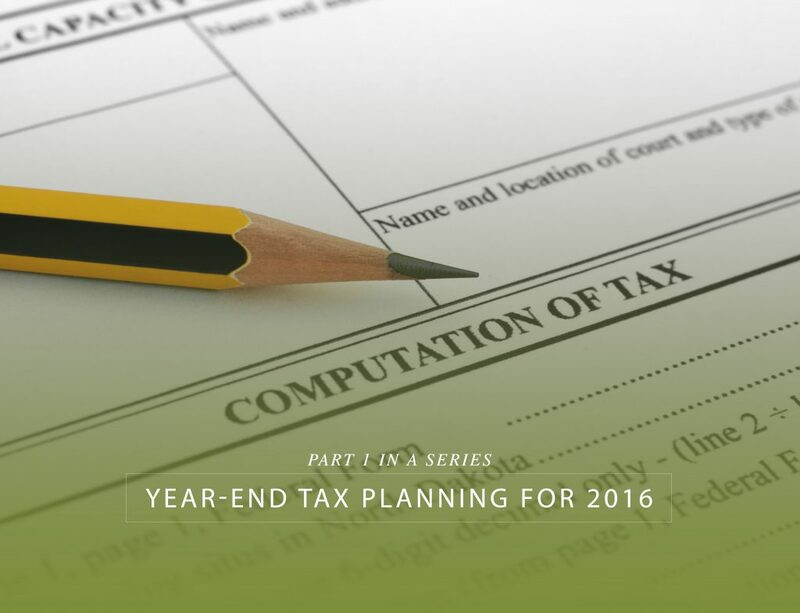 As we near the end of September and the beginning of October, it’s not too early to begin thinking about year-end tax planning for 2016. This post is the first in a series with some ideas to consider. As with any tax planning or strategy, whether an idea would be beneficial for you depends entirely on your particular facts and circumstances – therefore it’s important that you talk with someone knowledgeable before proceeding. The first step in tax planning for 2016 is to have a good idea about your income and expenses for not only 2016 but 2017. Since a lot of tax planning involves shifting income or deductions from one year to another, it’s important to understand the relative situations between this year and next. For example, if you anticipate your income will increase substantially from 2016 to 2017, you might not want to defer more income until 2017. Where are you on withholding for 2016? It sounds pretty basic, but if you’re an employee with wages subject to income tax withholding, there’s still time to adjust your withholding if you think you’ll be significantly over or under withheld for 2016. 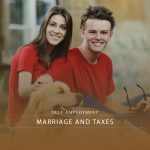 Adjusting your withholding up can, if you’re otherwise going to be underpaid for the year, help you avoid penalties for underpayment of your taxes. Do you have a significant adjustment to your wages that will happen before year end? This might take the form of a year-end bonus, the exercise of nonqualified stock options, or the grant of restricted stock, among other transactions. The rules for employers as to withholding on those type of nonperiodic payments often mean that the employer will be over withholding, or more likely, under withholding on the payment. If you’ll be materially underwithheld as a result of that payment, you may need to make an estimated tax payment (see other post here) to avoid or mitigate underpayment penalties. Thinking about making a substantial charitable contribution this year? First – as mentioned above, consider whether the contribution should be made in 2016 or 2017. If you have substantially appreciated securities (stocks or bonds, for example), consider making the donation using the appreciated securities. You’ll receive a contribution of the full market value of the securities, even though you won’t have to recognize the gain you’ve built up. If you sold the securities and then contributed the after-tax proceeds to the charity, both you and the charity would receive a smaller benefit. more than $500,000 – the appraisal must be attached to the tax return. 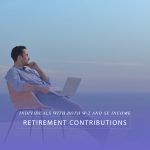 We’ll talk about topics including tax loss harvesting and retirement contributions in subsequent posts in this series.